Microz processes tens of millions of hard capsules and (coated) tablets for the market of nutritional supplements. In addition, you can contact us for softgels, Li-caps ®, powder mixtures and even for sourcing single ingredients. The 25 years of knowledge and experience are used to offer a complete service package, from product development to finished product. We are also your partner for advice regarding claims and communication on the packaging and requirements due to the European legal framework. Develop your own personal recipe for a nutritional supplement? Microz makes it all possible. We also will advise you on a possible modification of an existing formulation in which we follow the changes in the laws and regulations in Brussels closely. The confidentiality of your composition is ensured by Microz by means of a Confidentiality Agreement. 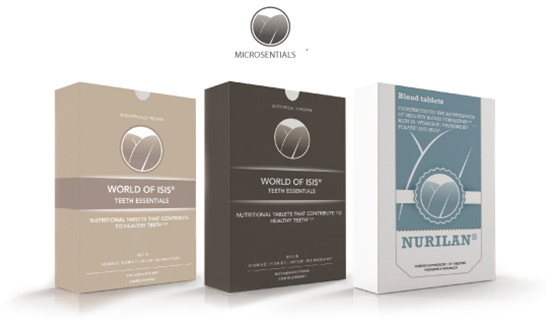 At Microz’ you can choose from a diverse range of capsules: gelatin or vegetarian capsules; very small sizes (2 or 3) or larger capsules (1 - 0 - 00). Additionally, you can approach Microz for encapsulating small quantities from 50,000 capsules (pilot), 100,000 capsules (minimum) up to large batches. We support you in choosing the right kind of capsule or capsule size. Microz produces on semi-automatic and fully automatic equipment. Microz offers a considerable range of tablet shapes and sizes. These vary from round to oval, from 7-26 mm. Do you want a unique shape? No problem. In consultation special forms are also possible. Tablets or capsules can be packed in a blister. Again, Microz offers numerous possibilities in terms of shape, size, printing and barrier. For each tablet or capsule we have a solution. Microz offers a wide range of standard packaging for tablets and capsules. Microz also packs powders. For this we have a wide range of packaging. We can pack any desired quantity. Microz can also label the plastic or glass containers. Normally we ask our customers to supply the product labels. In consultation, Microz can produce labels as an extra service. Microz also packs your final product. Packing pots or blisters in their final packaging (box): we like to take care of it for you!